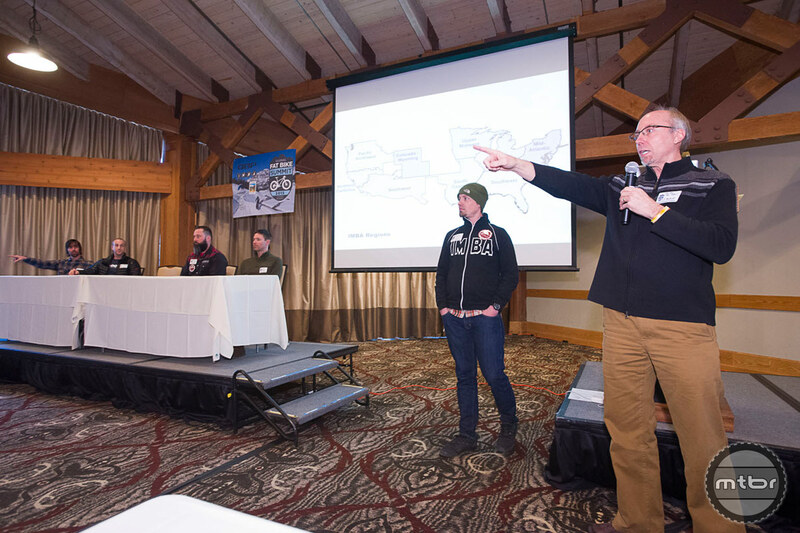 A record 152 attendees showed up for the fourth annual Global Fat Bike Summit, which this year was held at the Snow King Resort in Jackson, Wyoming, and hosted by Quality Bicycle Product’s advocacy director Gary Sjoquist and Scott Fitzgerald of Fitzgerald’s Bikes. 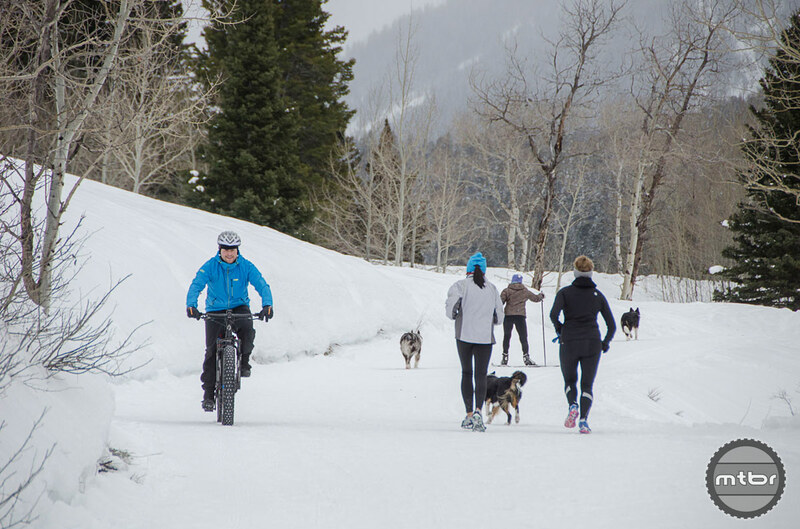 Attendees included public and private land managers, bike industry manufacturers and retailers, tourism professionals, and passionate fat bike aficionados, all of them there to promote what has become the fastest growing segment in the bike industry. Sjoquist credited the fat bike evolution to the innovative hand-made, one-off custom builds for bicycling over rugged terrain that started in Alaska. In 2005, QBP helped foster the growing popularity of these big tired bikes when it introduced mass production fat bike frames. QBP’s popular Surly and Salsa brand frames grew, and in 2010 became the first complete fat bikes for sale. Today, Sjoquist noted, there are over 100 manufacturers producing fat bikes or fat bike specific products. Fitzgerald’s presentation included an overview of his original outreach to QBP over concerns about trail access for the burgeoning sport. His prompting produced the first global summit in 2012, whose main mission was to campaign for fat bike trail education and to identify opportunities and challenges that lie ahead. Fitzgerald marveled how the Summit’s humble beginning of a few people sitting around a table in Montana had grown to fill a conference room in four short years. 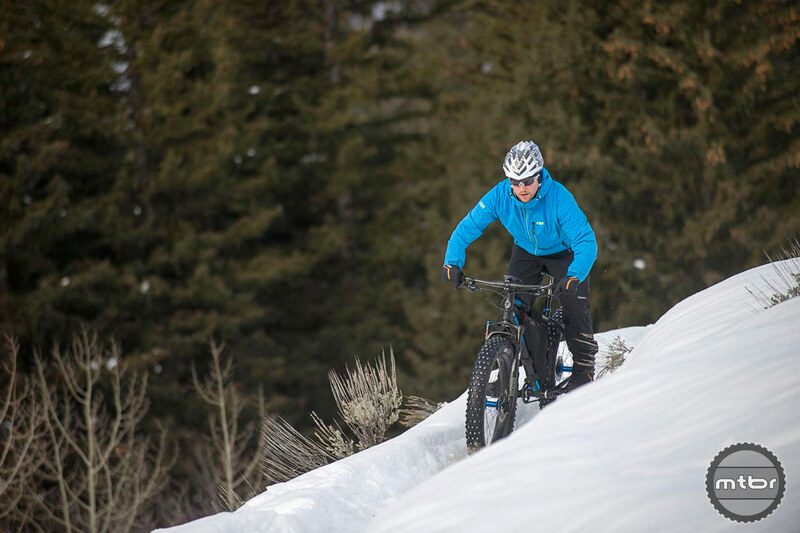 He also credited the fat bike with expanding his Driggs, Idaho, full service bike shop to where it’s become a viable year-round operation that doesn’t have to rely on skiing to stay open in winter. The next session consisted of panelists Linda Merigliano, Bridger-Teton National Forest; Andy Williams, Grand Targhee Resort; Wendy Aber, Durango Bike Company; Candy Fletcher, Marquette, Michigan Tourism; and moderated by Tim Young, Wyoming Pathways. The panelists discussed their respective public and private lands’ perspectives on fat bike shared use versus separated use, highlighting successful venues that function in multi-use environments (Nordic, snowshoers, snowmobilers, dog/nature walkers), and the complimentary advantages of offering winter fat bike specific singletrack. Attendees were reminded that when they ride on Nordic trails chances are someone negotiated that right for them. Next up was a discussion on fat bike management on public lands. Panelists included John Sullivan, Idaho State Parks; Paul Gritten, Wyoming State Parks; and Ray Spencer, Bridger Teton National Forest. Each spoke of their best practices for building recreational assets and services that attract fat biking to their respective areas. The afternoon began with a session moderated by IMBA executive director Mike Van Abel, who presented fat bike advocacy reports from IMBA regional staff. One exemplary story was the successful integration and popularity of winter fat biking at Minnesota’s Cuyuna Lakes Ride Center. 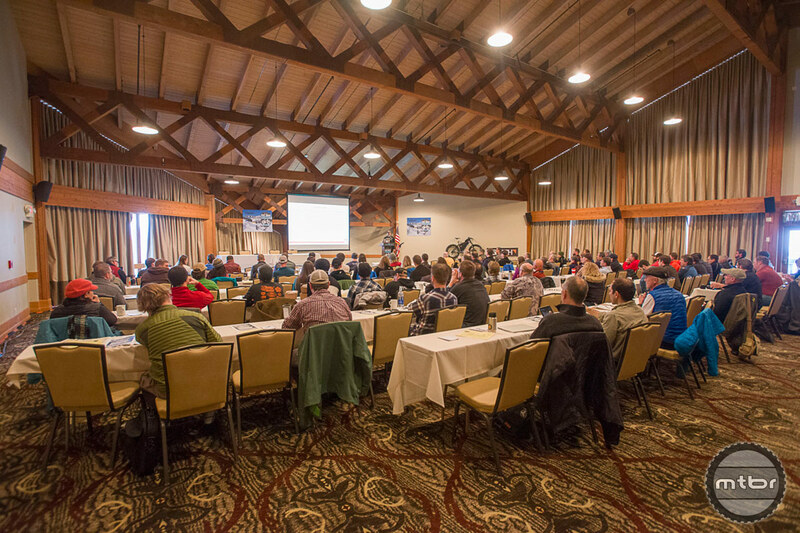 The day’s final session entitled “Groomed Singletrack for Fat Bikes” generated enthusiastic interest. Moderated by former pro racer Amanda Carey of IMBA chapter Mountain Bike the Tetons, the discussion brought together Doug Edgerton, Yellowstone Track Systems; John Gaddo, QBP; Andy Williams, Grand Targhee Resort; Paul Gritten, Curt Gowdy State Park. Each reported the current state of purpose-built snow singletrack. Topics ranged from snow science to the latest grooming techniques and implements to create quality winter riding experiences. 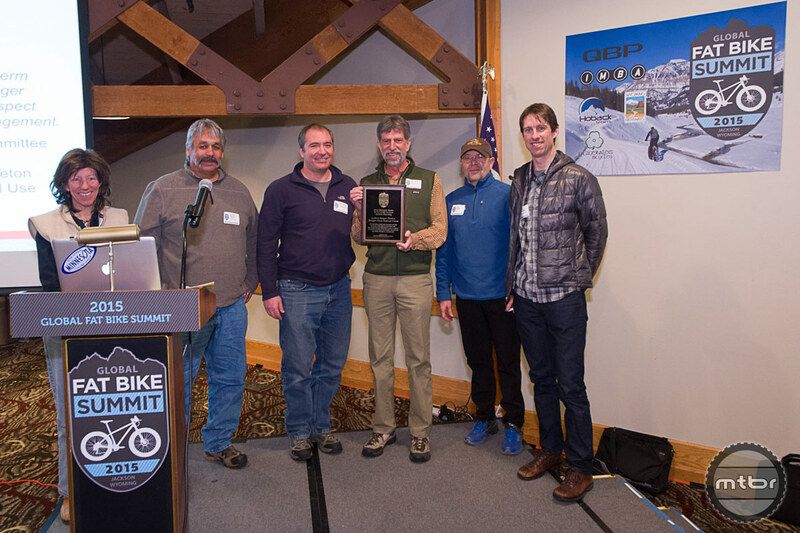 At the Summit wrap-up and networking social all agreed that the momentum generated by human powered fat biking was sustainable for the bike industry and the communities that support appropriate infrastructure and policy. The Summit continued over the ensuing weekend with over 200 people showing up for the Fat Bike Festival. 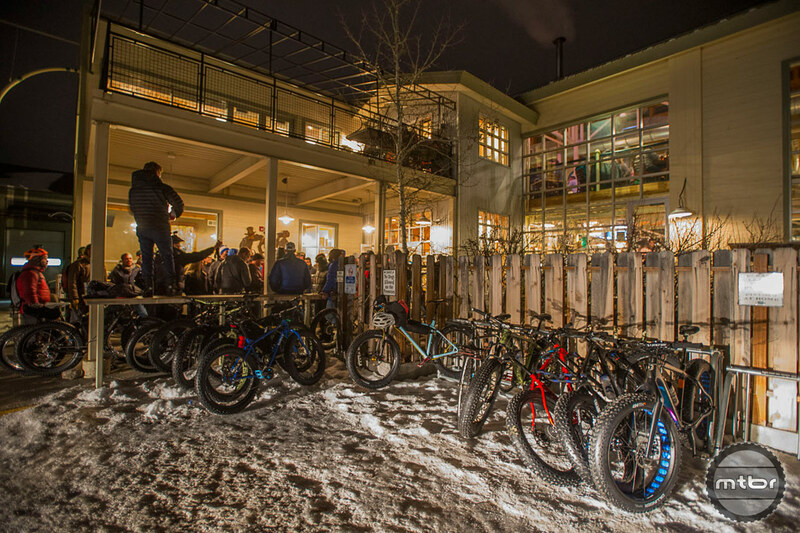 The kick-off event was a guided night ride with demo lights from Lights in Motion and a hosted party at The Hub Bicycles, a local Jackson shop. The demo event at Snow King Resort included 19 fat bike manufacturers and service providers. The latest fat bikes were ridden on a quarter-mile loop near the expo, or taken on longer rides up nearby Cache Creek to experience a wide groomed shared use route. There were also some sections of sweet snow singletrack that was snowshoe-packed by the generous folks at Teton Mountain Bike Tours. The afternoon was capped by beginner and expert races, with about 40 participants spinning laps on the short course. The event continued through Sunday afternoon with bike demos available and a tour-guided ride into Teton National Park. The weekend ended with a positive, forward facing buzz about the future of fat biking. For those who view the fat bike as a second tier bike experience, you owe yourself a ride. It’s guaranteed to put a smile on your face.